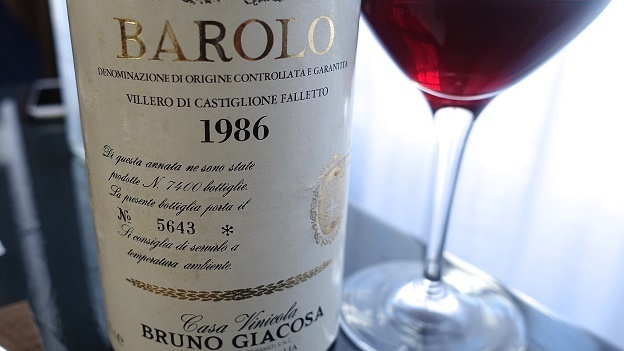 Bruno Giacosa’s 1986 Barolo Villero is distinctly savory, floral and mineral in the glass, with lovely overall complexity. The fruit is a touch dried out and the edges are slightly fraying, both of which suggest the 1986 is best enjoyed sooner rather than later. It’s hard to see the 1986 improving from here, but there is no denying the wine has held up quite well, something that is especially remarkable considering 1986 was a very challenging vintage with severe hail in some spots. The 1986 Villero is a bit more austere than the very best Giacosa wines and less powerful than the 1986 Falletto Riserva, but it is nevertheless quite pretty today. 91/Drinking window: 2015-2020.